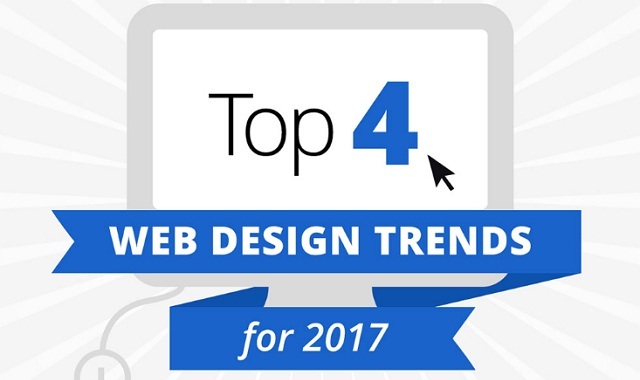 Top 4 Web Design Trend for 2017 #infographic ~ Visualistan '+g+"
We all know that web design is a very dynamic art and, as with any art form, it changes and morphs through different styles over time. So, how do we utilize this change in order to know what will be beneficial to us not only now, but in the future as well? Watching trends throughout the year will give us ideas and hints as to what will be popular in the upcoming months, so we’ve decided to help out and do that for you! Here are Top 4 Design Trend Predictions for 2017!